Born and raised in Salt Lake City, Utah, Sandy Loyd left her childhood behind and joined the Army to see the world and to get an education. Living and training in four states as well as two years in Germany during the three-year stint provided a cultural education. Then, after the military and graduating from Arizona State University with a BS in Marketing, she landed a job that involved extensive traveling to seven states as a manufacturer’s sales manager in San Francisco. She’s always considered San Francisco a US treasure that few other cities worldwide can compare. And even after marrying and transferring to Florida to manage six southeastern states, she still misses the city’s diversity and beauty. Her Florida years went by in a blur. She left her sales manager role and took a job as a part time rep after moving with her family to Kentucky, another drastic, cultural move. When her son kept asking why she had to leave those few days a month for work, and having no clear answer, she ‘retired’ from sales after twenty years to become a stay at home mom and again was faced with life from a different perspective. She now had the time to take on the role of PTA President and was in the school almost daily until her son moved on to Middle School. At that point the PTA didn’t require the same involvement and because she wanted to be around when her son came home from school, she began to write to fill in the time. And she’s been writing ever since. As an active member of RWA, she’s constantly taking classes and going to conferences to perfect her craft. She’s also currently members of several other writing organizations: KOD, LRW, URWA, KOD & COFW. She's a past president of her local chapter, chairperson of several committees and past treasurer. In the last two years she’s finaled with different manuscripts in several contests, of which James was one, taking first place in the Sensual Contemporary category in Romance Writer’s Ink, Where the Magic Begins. Her latest manuscript just won first place in the Romantic Suspense category in Heart of Denver’s Molly. The stories in the California Series were set in the Bay Area and were composites of Sandy’s single life, with the fun, crazy friends, who, like her, were seeking that someone special to share their lives with among thousands of eligible candidates. 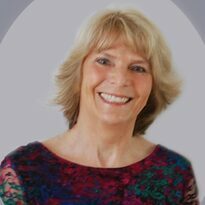 A best selling and award winning author, Sandy resides in Kentucky and is an avid snow skier. Now an empty nester, she lives with her husband, two cats, (one a stray with a crooked tail) and Labrador retriever featured in A Christmas Miracle.